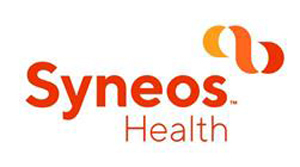 Contract research organisation INC Research and commercial services group InVentiv Health have rebranded as Syneos Health following their merger early last year. The newly-renamed biopharmaceutical services provider comprises of more than 21,000 employees in clinical and commercial development combining contract research organisation and contract commercial organisation capabilities. More specifically, the company - which becomes the second largest outsourcing provider after IQVIA - combines behavioural insights to accelerate clinical trial recruitment and therapeutic know-how with multi-channel commercial programs to engage stakeholders. Alistar Macdonald, chief executive officer of Syneos Health, said: “Syneos Health fully expresses our value proposition – that is our capability to deliver integrated end-to-end solutions and create new paths for our customers to develop and commercialise their therapies. “Unlike traditional CROs and commercialisation businesses, we are knocking down walls and enabling clinical and commercial experts to work in sync by using the latest technologies, advanced business practices and the advantages of scale. The company said ‘Syneos’ communicates the value of synchronising clinical and commercial capabilities to accelerate customer performance. Macdonald added: “As commercialisation experts, we understand the importance a strong brand plays in creating differentiation, conversion and loyalty.